The concept arose in 2004, having driven many rallies for many years; we found that something was missing. Rallies are often too serious, too much geared at speed and not enough at enjoying oneself. Since 2005 we organised more than 40 rallies in nine countries. The formula remains much the same: The Rally with a Smile. We have heard a great many enthusiastic stories about the scenery in the Balkan and about it’s welcoming people. We will be starting in Italy, not far from the motorail terminal and cross successively, Slovenia, Croatia, Bosnia and Herzegovina, Montenegro, Albania, skim through Macedonia to finish at a luxury resort in Greece. This rally is for pre-war cars and models designed before the 1940. 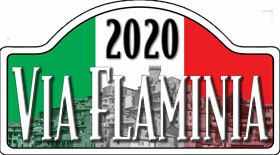 This year the Via Flaminia will take the motorail to Innsbruck. From there we drive over the Dolomites to the starting point in Italy to go to the coast of Croatia, trough the mountains of Bosnia Hertzegovina and back to Italy of the high mountains in Slovenia. As the pre-war edition, this rally will be starting in Italy, not far from the motorail terminal and cross successively, Slovenia, Croatia, Bosnia and Herzegovina, Montenegro, Albania, skim through Macedonia to finish at a luxury resort in Greece. This rally is open for classic cars up to 1974. 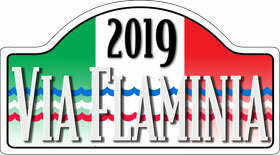 A rally going back to the roots of the Via Flaminia, discovering the most beautiful regions of Italy, from Tuscany to Marche, Umbria and the Abruzzi. We stay in Borghi e Palazzi or villages and mansions. Open for classic cars up to 1980. From Valencia to the west through the unknown inner lands of Spain. Via Cordoba over deserted roads to Portugal and through the mountains to Santiago de Compostela. We stay in characteristic hotels, including Paradores and Pousadas. The rally is open to 30 pre-war cars.